Kapalua Airport is a no smoking facility. 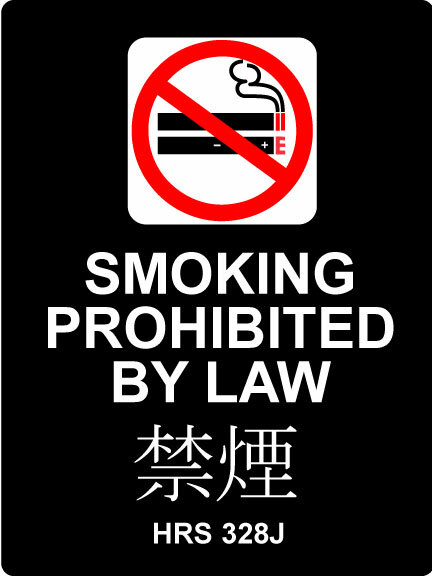 Smoking is prohibited from “cabin to curb”. 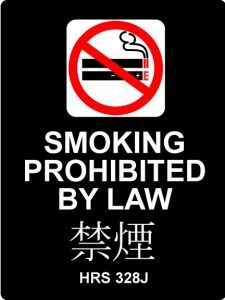 In addition, smokers must also be at least 20 feet away from any doorway, window or ventilation duct to prevent the spread of second-hand smoke. Signs are posted around the airport to remind passengers about the no-smoking policy. Violators of the law face fines.